March is such a busy month for me, and I’m always chasing the clock (or the clock is chasing me). And I’ve been busy collecting ideas and inspiration to share with you from other quilters/artists in the online community. Spring is right around the corner, so let’s hop to it! 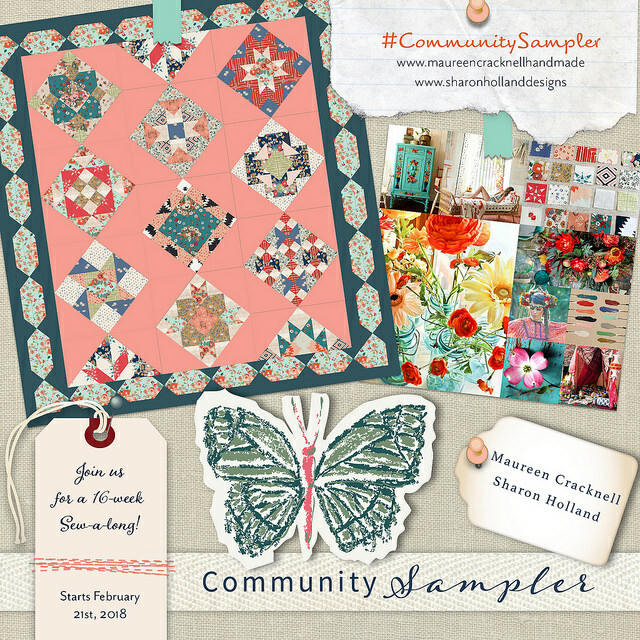 The Community Sampler Quilt Along started a few weeks ago – hosted by Maureen Cracknell and Sharon Holland. This is the second time these two have collaborated on a sew along, and it’s sure to be another big success. I love the beautiful design and straight forward piecing of this one! 2. I love this new Hold This for Me Pincushion Tutorial from Jenny of Elefantz Designs. Everything she does is so sweet and charming with her hand embroidery designs. The pocket makes this pincushion twice as handy to have on hand. 3. March 17 is around the corner and it’s time to think green! 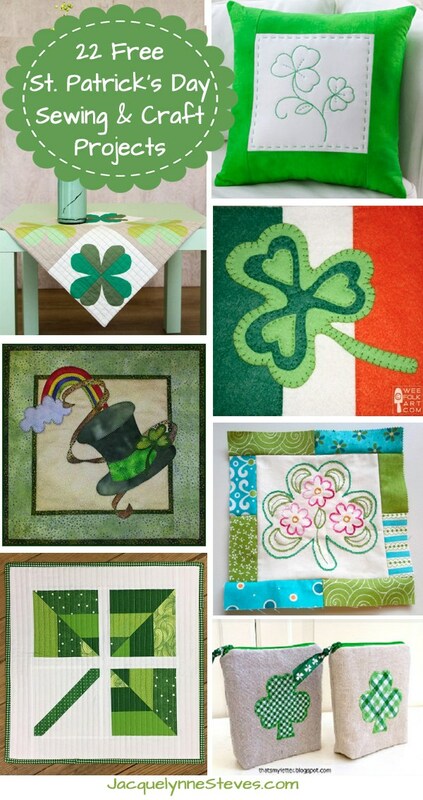 Make sure to visit Jacquelynne Steves to see 22 Free St. Patrick’s Day Sewing and Craft Projects. I’m sure you’ll find something that tickles your shamrock. 4. Too many WIP’s and UFO’s laying around? 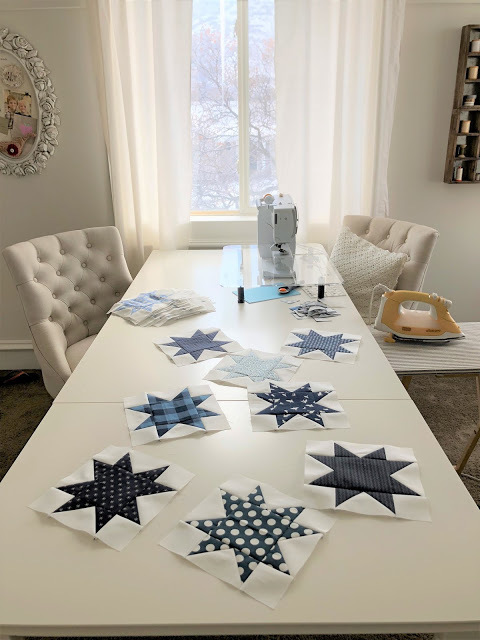 Check out this recent blog post by Amber of Gigi’s Thimble for Quilting Tips for Staying Focused and Motivated. You’ll find new inspiration for staying on track and finishing up those projects! 5. I first learned about the freezer paper and starch method of applique from a demonstration by Pearl Pereira at a quilt show. Check out the tutorial page of Designs by Pearl P. Pereira for videos on her method and why it works so well. Her latest video is all about how to make perfect applique circles. She is a “one-stop shop” for all things applique. 6. Hang on to those old jeans! 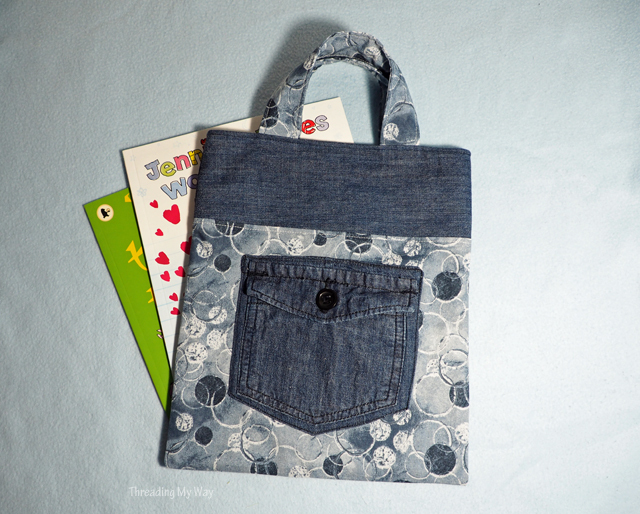 Pam from Threading My Way has an Easy to Make Denim Jeans Pocket Tote Bag Tutorial that is perfect for using up that worn out pair of jeans. Practical, functional and “repurposeful” all in one item! 7. Once in a while, I look to YouTube for quilting lessons. I was happy to discover OnPoint – TV hosted by Nancy Roelfsema. She has a great “learning to quilt” series, and check out the “New Tools for Quilters” below. I learned about a few new tools that I’m going to add to my wish list. 8. Maybe you need a quick project to welcome Spring that doesn’t involve cutting fabric. 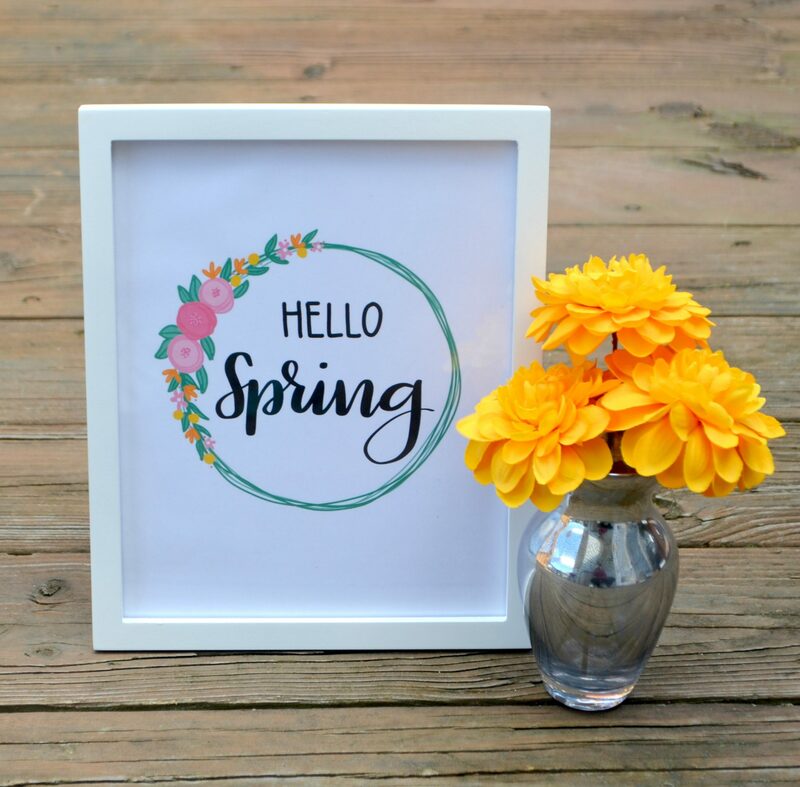 Check out the Hello Spring practice sheet and free printable by Amy at Amy Latta Creations. You’ll find options for printing out a practice page for hand lettering, or just the floral wreath so you can add your own hand lettering, or printing out the entire design. I want to try out my own hand lettering! 9. 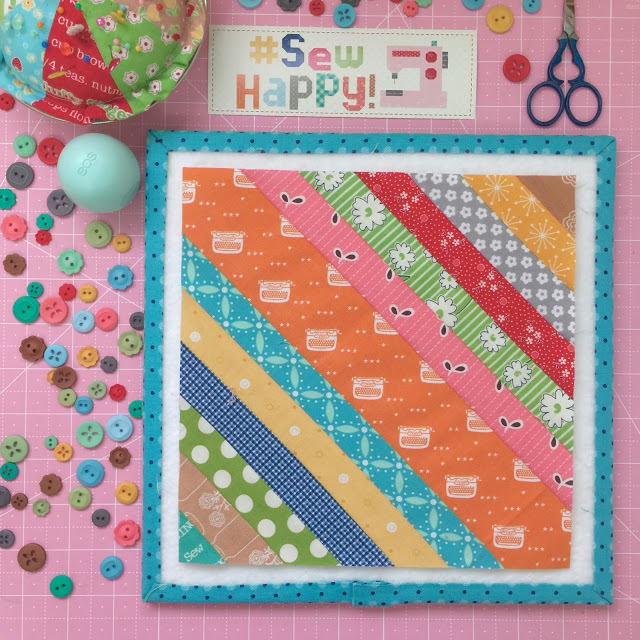 If you’ve been saving your skinny scraps, it’s time to make Scrappy String Blocks with Lori at Bee in my Bonnet. She has a great tutorial that shows you every step so you can be well on your way to your first (or next) string quilt. 10. 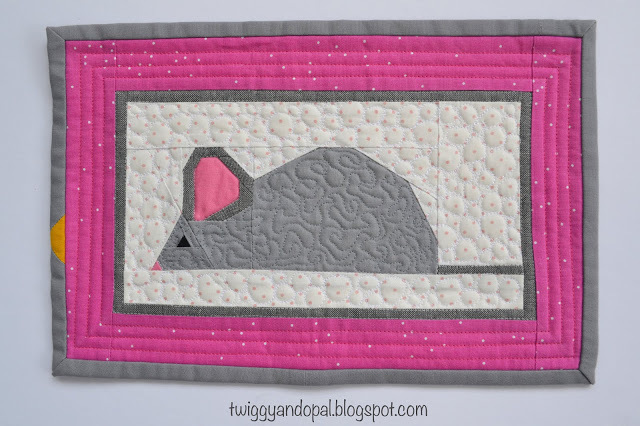 I love this paper pieced mouse, Mr. Squeak, from Jayne at Twiggy and Opal. He’s as cute as can be and a free pattern for you to download. My favorite kind of mouse! 11. 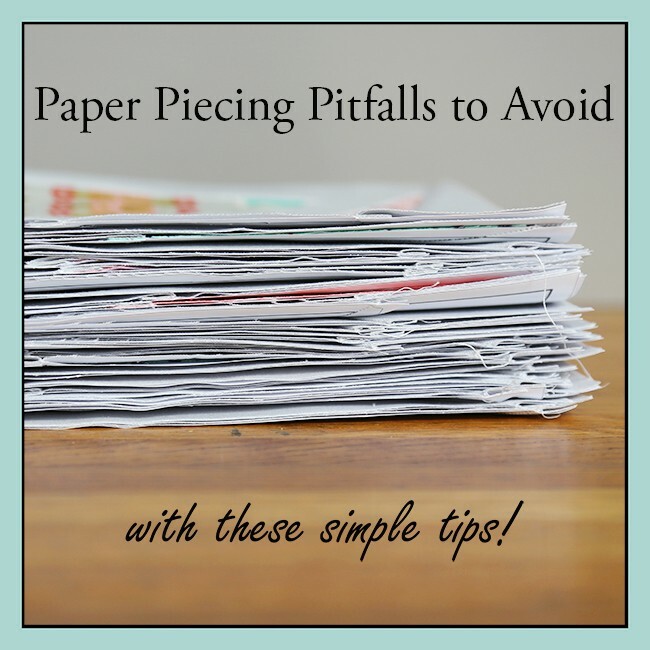 Speaking of paper piecing, check out these Paper Piecing Pitfalls to Avoid from Amy at During Quiet Time. I’m sure I can learn a few things from Amy as I’m a novice paper piecer at best. 12. At some point in your sewing life, you’ll need to sew a ladder stitch especially if you make anything stuffed or something that needs to be turned right side out. Amy at Positively Splendid has a wonderful tutorial for How to Sew Openings Closed (by hand) with a Ladder Stitch that I think you’ll appreciate. Thank you for your patience as I put together this month’s Sew Thankful Sunday blog post. I think it was worth the wait because there are some great tutorials and videos this month. I hope March is breezing by with happiness, sunshine and sewing! thanks for all the links to new blogs. I might have found a couple new ones to follow. I traveled over from H2H. You’re tutes were helpful to me; I got some good tips and ideas. Thank you for posting them! Thanks so much for featuring my Jeans Pocket Bag, Julie. I have to go and check out the Hold This For Me Pincushion. I definitely have to come back to check out some of these links. Very good round-up. Thanks, Julie for all of these resources, will spend all next week diving in to them! You are appreciated more than you know!